A whole book (that I have a chapter in) and my new article about antiquities donation tax fraud free online. In this paper I will provide a broad overview of the theft, smuggling, and illegal sale of cultural objects from Latin America. I open with a description of the two primary categories of looted Latin American cultural property: pre-Conquest artefacts and Colonial sacred art. I will then describe the form and functioning of the illicit trade in Latin American antiquities in the past. 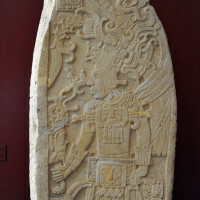 Using the case study of the theft and trafficking of a large Maya sculpture from the site of Machaquilá, Guatemala, I will discuss the on-the-ground devastation of the historic trade in looted Latin American objects as well as present a model of a historic antiquities trafficking network. I will then discuss important shifts in the focus and structure of the illicit trade, describing what is known about current looting and trafficking of cultural property from the region using the theft of an altarpiece of the Church of Challapampa, Peru, as a demonstrative case study. The paper will close with a discussion of the various outside forces that appear to play a significant role in the continued looting and trafficking of Latin American cultural objects. Among these important forces to consider are deforestation, people movement, the narcotics trade, local and regional instability, community insecurity, poverty, globalisation, and developmental disparities. If reducing the illicit trade in Latin American cultural property is our goal, all current and future policy must address these issues.